In today’s technological age, our economy and society are constantly transformed with new products that often revolutionize our daily lives. Many experts predict the autonomous car will be the next big thing to have a major impact on the world. Several companies have been developing the technology for driverless cars for years, and it’s predicted they will be available to the public within the next five to ten years. Liability for an accident could shift from the car’s owner to the car’s manufacturer, which could lead to a large decrease in the number of liability insurance policyholders. However, it’s too soon to begin to predict how this scenario might play out once autonomous vehicles become a fixture on our nation’s highways. It’s also very possible that owners may decide to keep some form of comprehensive or collision coverage in place in order to fully protect their own car. The dramatic decrease in the frequency of auto accidents due to the elimination of human error would logically correlate with a large drop in auto insurance premiums throughout the industry, particularly as the cost of these vehicles decreases over time. Imagine all of the lives that could be saved through the complete elimination of impaired drivers or speeding! Families would no longer need to own as many vehicles. For example, a single autonomous vehicle could take children to school then return home to take the parents to work. This will likely save consumers money, but it will also likely have an impact on not only the insurance industry, but also car manufacturers as fewer cars will need to be manufactured. Autonomous vehicles could be optimized to run at the most efficient speeds and settings at all times to prevent the waste of fuel. This may also save owners a large amount of money over time. As autonomous cars become the main form of transportation, traffic jams and congestion will likely become a thing of the past, even in the busiest of cities. This would save people a lot of time every day on their commutes. If you think about it, these cars would all be able to interact with each other like a well-oiled machine using satellites, rather than humans with varying driving skills, reaction times, and only a horn to interact. Free “valet parking” everywhere you go, as the vehicles could drop you off, park, and pick you up at the door when you are ready to leave. The young, elderly, and disabled would all have the freedom to take a car somewhere, regardless of their inability to operate the vehicle itself. Personal auto insurers will likely face a major shift in their business models as autonomous cars begin to emerge on our nation’s roadways, but the impacts should be positive across most areas of society. 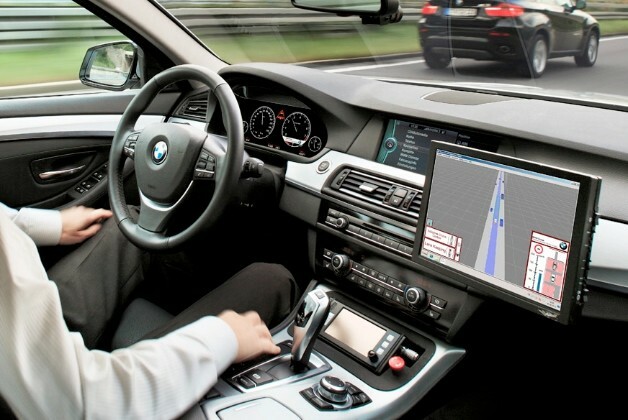 Have you considered any other effects that autonomous cars could have? Are there other developing technologies you believe could also have this kind of widespread impact? Please post your ideas in the comments below.